Free parking is available for this workshop in the visitor parking structure (No. 2) on Health Center Circle. Please bring your parking ticket to the meeting and it will be validated by the facilitator. 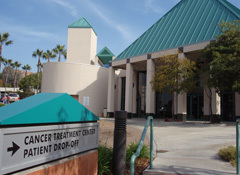 Linda Hutkin-Slade, MSW, LCSW, OSW-C, is a licensed clinical oncology social worker at Sharp Grossmont Hospital's Center for Cancer Treatment. She has an extensive background in programming for cancer patients and their loved ones.